I received my second and probably last Luxe Box (referral link) a couple of weeks ago, and I’m a bit late getting it posted! 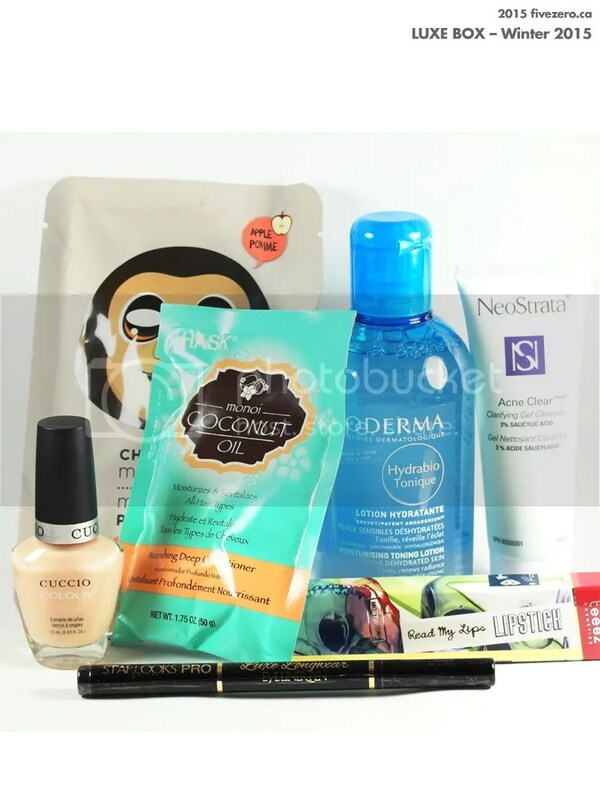 You receive 7–8 trial-sized items in each curated Luxe Box (I got 5 full-sized items and 2 trial-sizes this season). This time, I did not take up the $10 “Beauty Surprise” option, even though I was pleased with what I got last time. I guess the holidays were getting a little too spendy for me. I first heard of Starlooks when I received their Gem Eye Pencil in Ultra Orchid, a gorgeous shimmery purple, in one of my Ipsy (referral link) Glam Bags. I liked that product, so I was reasonably happy to see one of the brand’s lipglosses in my April Ipsy bag. I don’t think their packaging and branding is quite up to snuff, but I suppose we should mostly care about the actual products and how they perform, right? A truly moisturizing, non-sticky formula available in 47 different shades. Tint ranges from sheer to opaque and finish ranges from shimmer to satin. This creamy, glassy, long-lasting gloss adds a glistening effect to any lip look. The lip gloss I received is a mini 0.3 oz with a doe-foot applicator; the size of the full-sized version is not currently available on either the official site or Ipsy. This month, my Ipsy (referral link) Glam Bag arrived a little later than usual, but I finally received it today! Well, yesterday, I guess. It’ll be tomorrow by the time I post this.